Annata 365 for Manufacturing is a flexible, fully integrated solution for material handling, construction, agriculture and equipment manufacturing companies. The solution draws from years of experience and best practice knowledge gained from working with leading companies in this sector. The solution is fully integrated with Microsoft Dynamics 365, using the standard features of Dynamics 365 for Operations, as well as additional features specially designed to support the manufacturing industry. Centralized product and service management across the organization, including bill of materials (discrete manufacturing), formulas (process manufacturing) and variant and configurable products. Product release management for individual entities within the system. Ability to configure products using the built-in product configurator. Supports assembly of vehicles/machinery where components are shipped from manufacturer (completely knocked down products). Closely integrated to inventory management, master planning and quality management. Supports green manufacturing and assembly, monitoring materials waste, water consumption, energy usage, carbon footprint and other related costs. 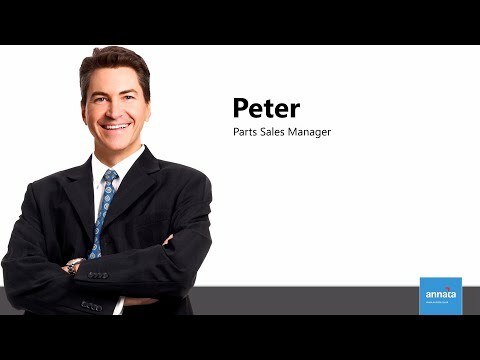 The solution handles all key business processes during the entire vehicle’s/machine's lifecycle and allows users to easily create reports and analysis by using pre-built data cubes that are designed to provide timely and valuable business information to analyze it in a simple and readable way with Annata Power BI. Having all most important processes supported within one ERP system increases transparency, data quality and increases understanding of the data context. If you have old disparate systems that have supported your business, it will be a giant leap forward in terms of simplifying hardware infrastructure, maintenance and lowering your total cost of ownership. Helps increase productivity in manufacturing and service. Effective scheduling of resources, production scheduling, deploying various production strategies and controlling material usage and waste helps your business provide quality products and customer service that help grow your business. Open system architecture enables better interaction with other systems cross-company which leads to increased productivity gains, better data quality and more ease of interacting with your suppliers. Improved performance and visibility – streamline operations, approach tasks and processes in a new and better way and at the same time increase your understanding of the driving factors behind your business. Functional fit solution out of the box for your industry needs. Certified future proof solution through Microsoft Certified programs (CfMD). Full integration of all key business processes driven by industry specific needs and developed by experts. Mostly replacing high number of bespoke nonintegrated systems. Process automation needs, work-flows and process alerts. Strong references around the world to back claims. Powerful, but easy to use analytic tools with Annata Power BI.